We keep a flock of laying hens for eggs, bug control, and entertainment. 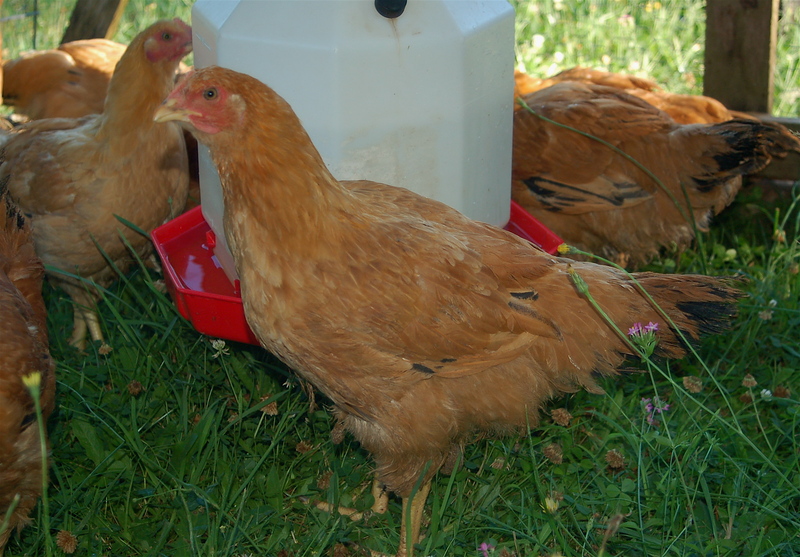 We have a mixed flock of heritage breeds, including Ameraucanas, New Hampshire Reds and Australorps, among others. 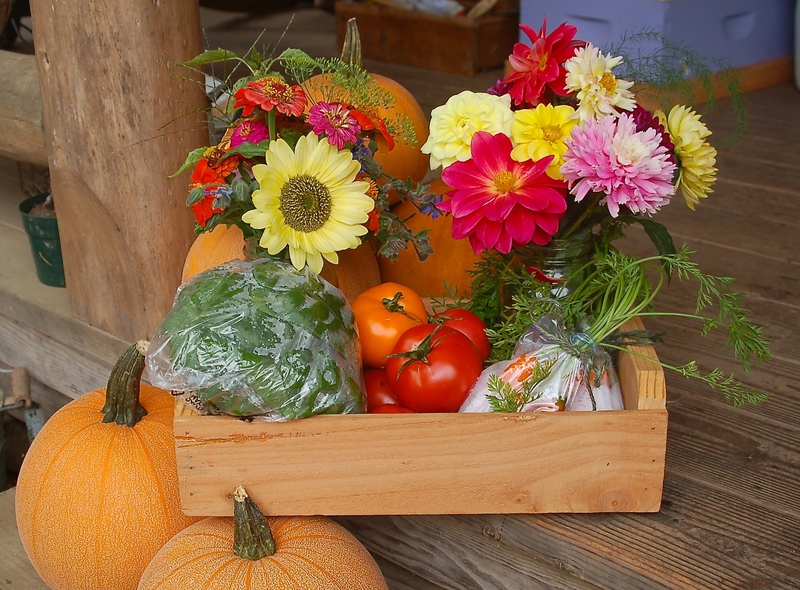 They lay a beautiful range of colored eggs with rich orange yolks and outstanding flavor. 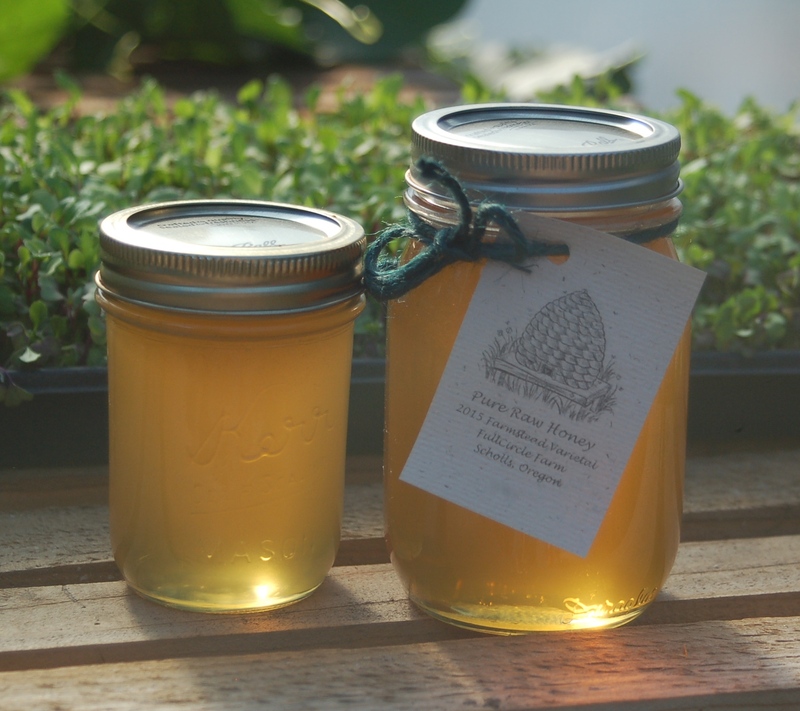 Our layers are allowed to free range daily, and are fed a locally sourced, Organic Non-GMO layer ration along with many goodies from the garden. 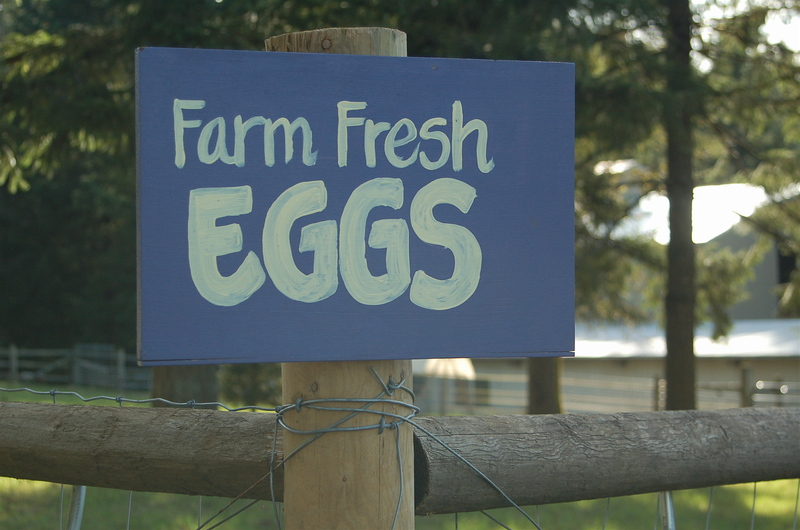 We sell our organically produced eggs directly from the farm and also as a part of our FarmShare program @ $6.50 per dozen. Please contact us at fullcirclefarm.scholls@gmail.com if you are interested in purchasing eggs! Definitely see a gorgeous Speckled Sussex in the group! Been on my list of a desired pullet to get, so far no luck. Or perhaps that HAS been or luck haha, we need to keep a half handful of very quiet and docile ones only. ..
White delaware, Ameraucanas, Rhode Island red, cuckoo, black sexlink – not the best for us. Even some old English style giant smoke orphington mixes turned out too loud, sigh. The Speckled Sussex was named Madge. She was sweet, round & matronly. My all time favorite hen. Perfect for kids or a small, quiet backyard! I hope to add a couple to the flock again next season. They are hard to find though. Delawares are definately not a good choice for a quiet backyard. They are very chatty! Ah, I keep hearing peoples comments about the Sussex’s, and we really tried hard to get one last year. Since our “operation” on the side of the house is so tiny, we have very few choices when shopping chickens 🙂 Online is out. Last year the feed stores never had any Sussex. And yes, you are SO right – our Snowball & Marshmallow, both Delawares, were the noisiest chickens ever. They’d sit and screech, just for the fun of it… Haha, made us all nervous our neighbors would hate us forever.